It is our mission at the School of Economics and Management (SEM) at Tongji University to develop the professionals needed by China and the world capable of using their knowledge and skills to solve practical problems. We achieve this through high quality research in focused areas of management and through the networks we are building, both academically and professionally. This makes SEM an excellent choice for students, government leaders and business elites worldwide. Our diversified and expert programmes offer the academic knowledge and competitive practical skills that are so highly valued in the business world today. The school understands that as the organizational and leadership demands of today’s society evolve, so do the educational needs of business graduates. SEM is thus committed to cultivating successful leaders and professionals who use our profound insights and global vision to advance business, social and governmental organizations. Empowered by its internationalization and an excellent service support system, SEM is bridging the management fields and the business world in China with those of the world. 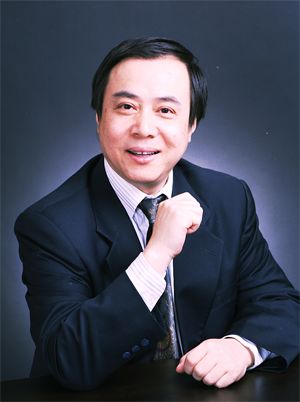 Through the advanced teaching methodology used in our educational approach, we seek to share our academic accomplishments and the successful management experiences of Chinese enterprises with peers and entrepreneurs both at home and abroad. SEM benefits from the long and rich history of its parent university. 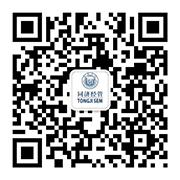 Tongji, one of the top premier institutions of 900 public universities in China, boasts unrivaled strength in the fields of Urban Planning, City Management & Construction, New Energy and the Automotive Industry, Architecture, and Engineering. Combining that distinctiveness with our long-term international development strategy, SEM is devoted to establishing a business school of prominence and excellence. Among our notable accomplishments, SEM was the first business school in China to obtain permission from the State Ministry of Education to start international degree programmes. It was also the FIRST in China to launch a DBA programme. Our Sino-French MBA programme is ranked second domestically and two of our programmes have been granted AMBA accreditation. We cooperate with over 50 international business schools around the world, a number which ranks top among Chinese business schools. SEM is also a member of the international accrediting agencies AACSB and EFMD. Located in Shanghai, premier financial, fashion and shipping centre in China with the highest concentration of global businesses, we offer you excellent opportunities to make the most of this vibrant and cosmopolitan city. Shanghai gives you endless opportunities for professional progression. With confidence and certainty, I invite you to join us to discover for yourself the unmatched quality of our students and the unparalleled teaching faculty at SEM.